A Julia Morgan Ballroom wedding is like a wedding for rich and famous. This beautiful San Francisco wedding venue is packed with amazing details for any wedding ceremony or reception. The Julia Morgan Ballroom at the Merchants Exchange has hosted many important events and wedding ceremonies. Even President Obama has giving a speech at this venue. Located in San Francisco’s Financial District, the Julia Morgan Ballroom is a historic gem and is only a few hours drive for your wedding guest coming from Sacramento or San Ramon. Weddings and events are held on the fifteenth floor of the building. However, there are no busy traffic to contend with or intrusions from the outside world. This venue is very private and would be perfect for a formal wedding. 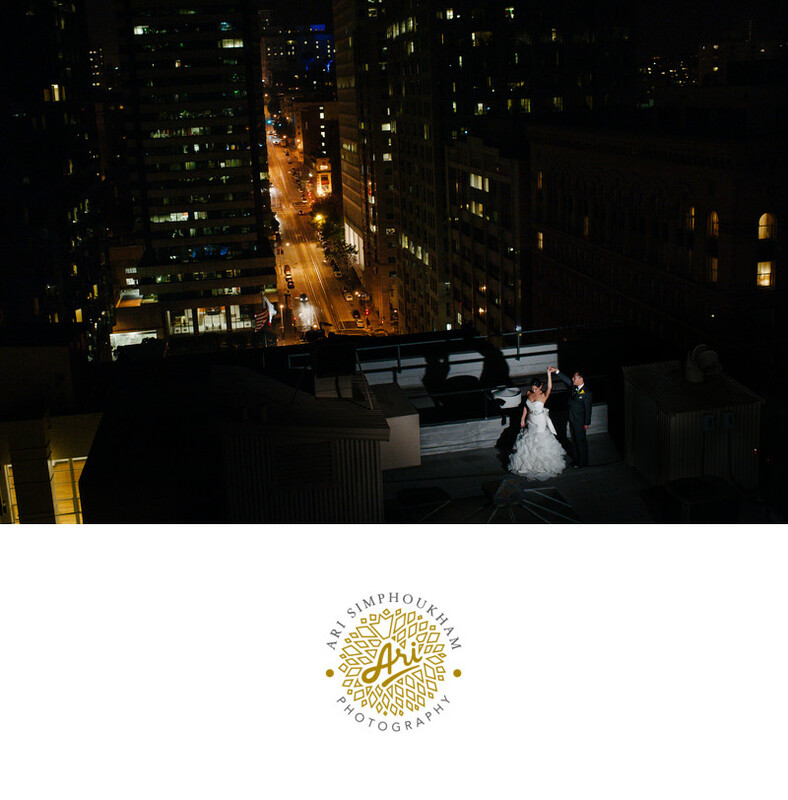 The event room at the Julia Morgan ballroom is about 4,300 square feet of elegance over looking the skyline of San Francisco. There is a lounge where the bar can be set up and you can also have your cocktail hour there for your guest. In the end corner of the ballroom, there is an amazing fireplace that adds to the ambiance of the place. I’ve photographed a few wedding here and I would say that one of the most striking things about the room is the ceiling. The ceiling is a agricultural wonder in itself. The ceiling at the Julia Morgan room is a honeycomb of mahogany octagonal. With the added floor to ceiling arched windows and detailed walls, this room screams awesome! A Julia Morgan Ballroom wedding would be a dream come true for a lot of brides out there.